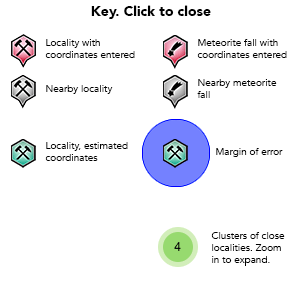 Localities 15 and 16 of Robinson et al. (1992). 75 valid minerals. 6 (TL) - type locality of valid minerals. Reference: STURMAN, B.D. & MANDARINO, J.A. 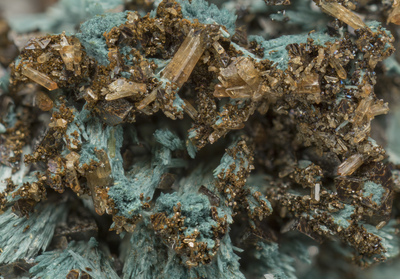 (1976): Barićite, the magnesium analogue of vivianite, from the Yukon Territory, Canada. 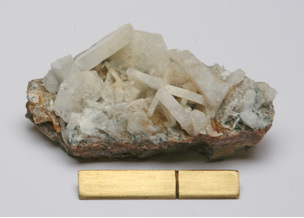 Canadian Mineralogist 14, 403-406. ROBINSON, G.W., VAN VELTHUIZEN, J., ANSELL, H.G. & STURMAN, B.D. (1992): Mineralogy of the Rapid Creek and Big Fish River area, Yukon Territory. 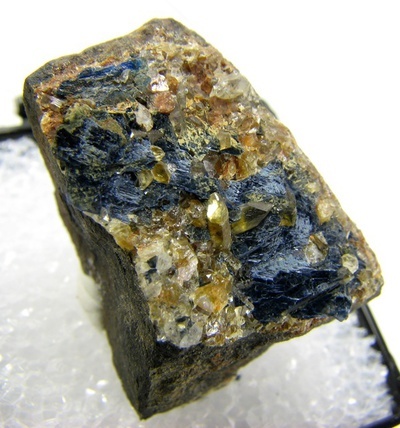 Mineralogical Record 23, 1-47. Reference: MinRec 23:4-47; Yakubovich, O.V., Massa, W., Liferovich, R.P. & McCammon, C.A. 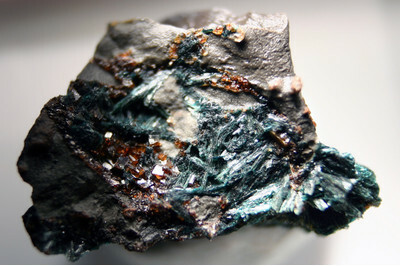 (2001): The crystal structure of barićite, (Mg1.70Fe1.30)(PO4)2$8H2O, the magnesium-dominant member of the vivianite group. Canadian Mineralogist 39, 1317-1324. Reference: ROBINSON, G.W., VAN VELTHUIZEN, J., ANSELL, H.G. & STURMAN, B.D. (1992): Mineralogy of the Rapid Creek and Big Fish River area Yukon Territory. 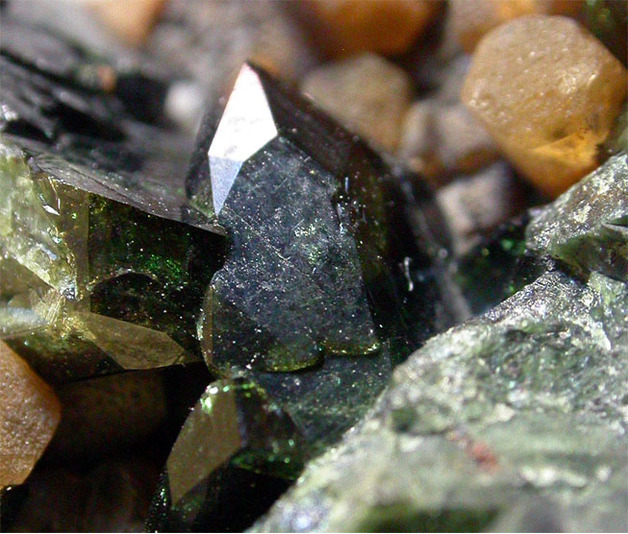 Mineralogical Record 23, 1-47. Reference: STURMAN, B.D., MANDARINO, J.A., MROSE, M.E. & DUNN, P.J. 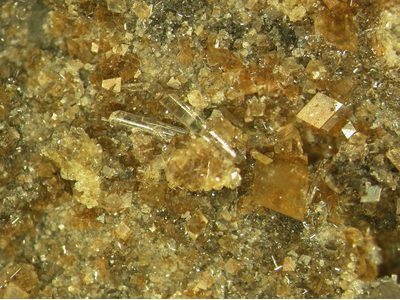 (1981): Gormanite, Fe2+3Al4(PO4)4(OH)6$2H2O, the ferrous analogue of souzalite, and new data for souzalite. Canadian Mineralogist 19, 381-387. ROBINSON, G.W., VAN VELTHUIZEN, J., ANSELL, H.G. & STURMAN, B.D. (1992): Mineralogy of the Rapid Creek and Big Fish River area, Yukon Territory. 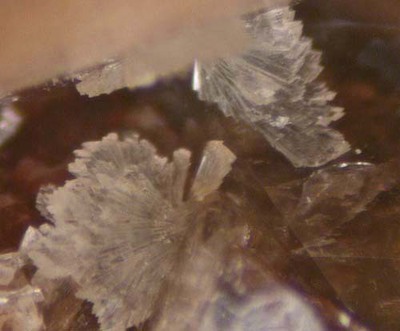 Mineralogical Record 23, 1-47. Reference: Yakubovich, O.V., Massa, W., Liferovich, R.P. & McCammon, C.A. 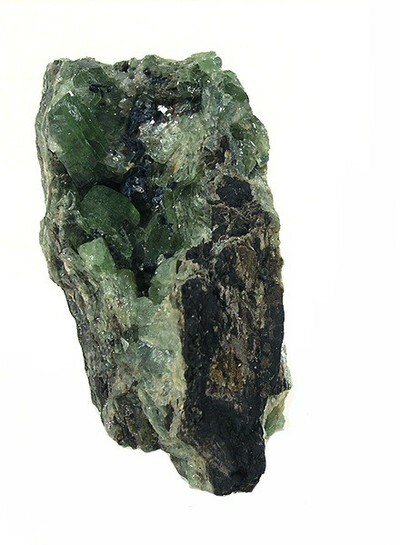 (2001): The crystal structure of barićite, (Mg1.70Fe1.30)(PO4)2$8H2O, the magnesium-dominant member of the vivianite group. Canadian Mineralogist 39, 1317-1324. 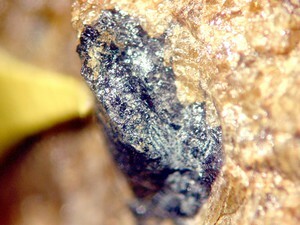 Description: In phosphatic nodules in sideritic ironstones. 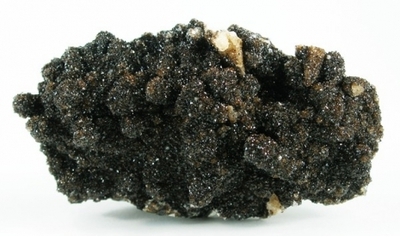 A few nodules consist almost entirely of maridite, but most specimens studied have the following species in direct contact with mariiite: Ludlamite, vivianite, quartz, pyrite, wolfeite, apatite, wicksite, nahpoite, satterlyite. Reference: STURMAN, B.D., MANDARINO, J.A. & CORLETT, M.I. 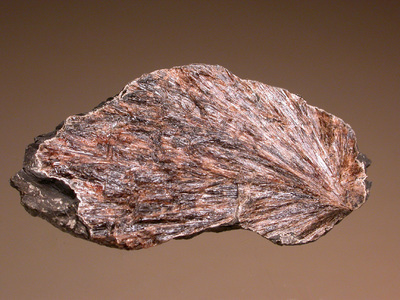 (1977): Marićite, a sodium iron phosphate, from the Big Fish River area, Yukon Territory, Canada. Canadian Mineralogist 15, 396-398. ROBINSON, G.W., VAN VELTHUIZEN, J., ANSELL, H.G. & STURMAN, B.D. (1992): Mineralogy of the Rapid Creek and Big Fish River area Yukon Territory. 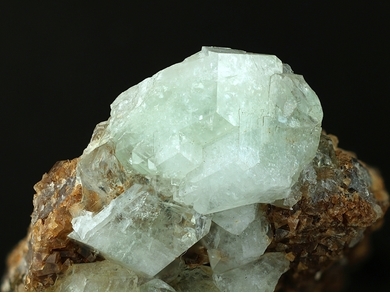 Mineralogical Record 23, 1-47. LE PAGE, Y. & DONNAY, G. (1977): The crystal structure of the new mineral marićite. Canadian Mineralogist 15, 518-521. Reference: COLEMAN, L.C. & ROBERTSON, B.T. 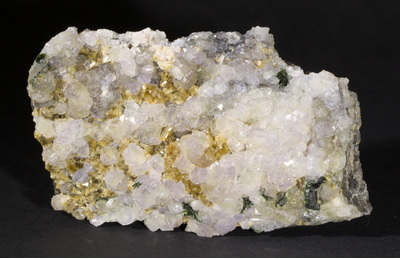 (1981): Nahpoite Na2HPO4, a new mineral from the Big Fish River area, Yukon Territory. Canadian Mineralogist 19, 373-376. ROBINSON, G.W., VAN VELTHUIZEN, J., ANSELL, H.G. & STURMAN, B.D. (1992): Mineralogy of the Rapid Creek and Big Fish River area, Yukon Territory. 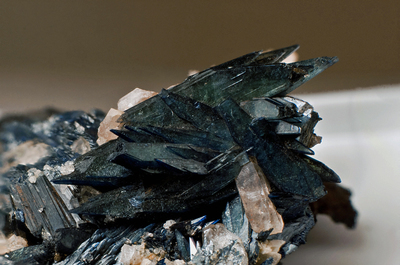 Mineralogical Record 23, 1-47. 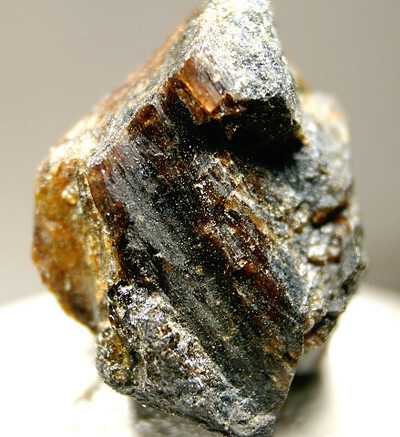 Description: Satterlyite is found in nodules in shales along the Big Fish River. 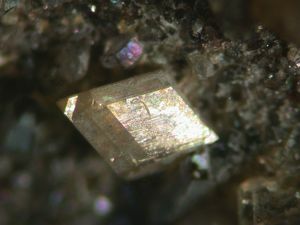 Some are megascopically monomineralic, consisting only of satterlyite; others show satterlyite in direct contact with quartz, pyrite, wolfeite and marićite. Reference: Robinson, G.W., Van Velthuizen, J., Ansell, H.G. & Sturman, B.D. (1992): Mineralogy of the Rapid Creek and Big Fish River area, Yukon Territory. 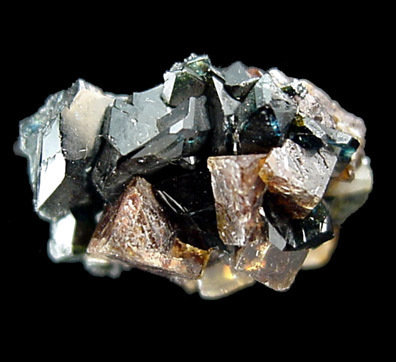 Mineralogical Record 23, 1-47; Yakubovich, O.V., Massa, W., Liferovich, R.P. & McCammon, C.A. 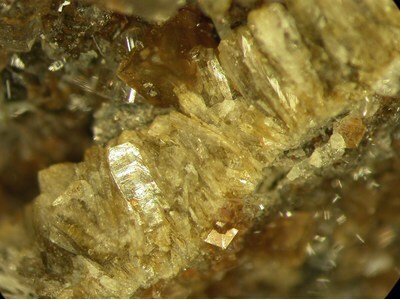 (2001): The crystal structure of barićite, (Mg1.70Fe1.30)(PO4)2$8H2O, the magnesium-dominant member of the vivianite group. Canadian Mineralogist 39, 1317-1324. Reference: [MinRec 23 Yukon Special p31]; Yakubovich, O.V., Massa, W., Liferovich, R.P. & McCammon, C.A. 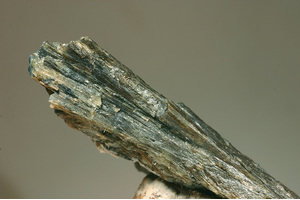 (2001): The crystal structure of barićite, (Mg1.70Fe1.30)(PO4)2$8H2O, the magnesium-dominant member of the vivianite group. Canadian Mineralogist 39, 1317-1324. 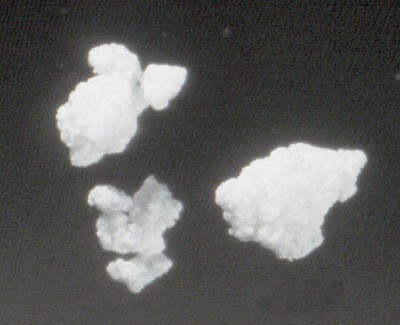 Reference: Horvath, L. (2003). Whitlockit vom Big Fish River, Yukon, Kanada. Lapis 28 (9), 39-40 + 58. Reference: STURMAN, B.D., PEACOR, D.R. & DUNN, P.J. 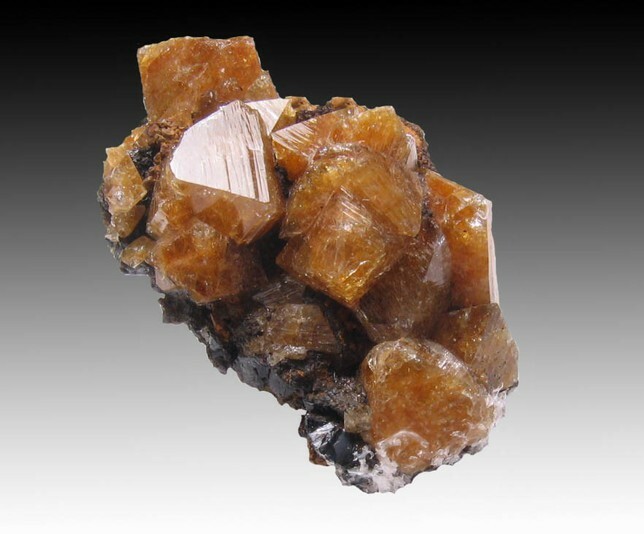 (1981): Wicksite, a new mineral from northeastern Yukon Territory. Canadian Mineralogist 19, 377-380. COOPER, M.A. & HAWTHORNE, F.C. 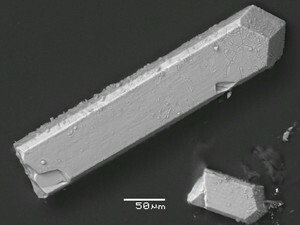 (1997): The crystal structure of wicksite. Canadian Mineralogist 35, 777-784. 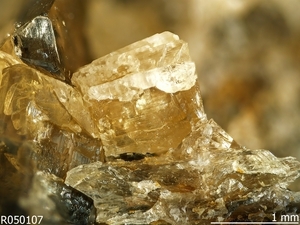 Brunet, M. (2007) Mineralien-Welt, 18(5), 48-62 (in German). Coleman, L.C. and Robertson, B.T. 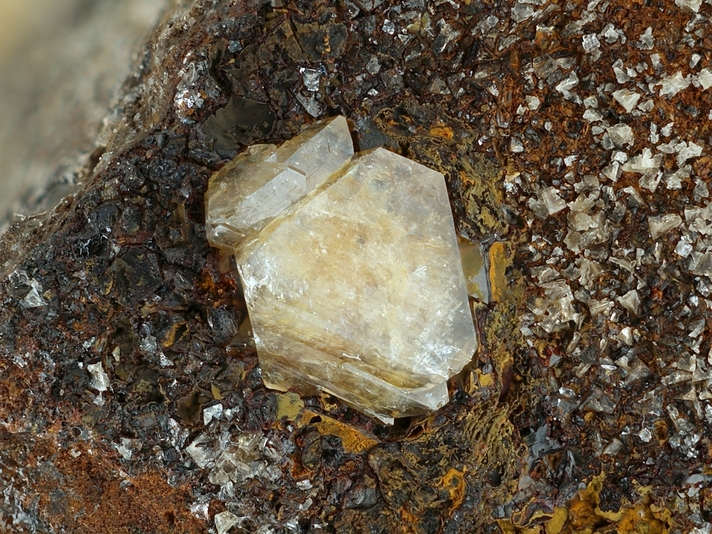 (1981) Nahpoite Na2HPO4, a new mineral from the Big Fish River area, Yukon Territory. Canadian Mineralogist, 19, 373-376. Horváth, L. (2003) Whitlockit vom Big Fish River, Yukon, Kanada. Lapis, 28(9), 39-40 + 58. Le Page, Y. and Donnay, G. (1977) The crystal structure of the new mineral marićite. Canadian Mineralogist, 15, 518-521. Robinson, G.W., Van Velthuizen, J., Ansell, H.G., and Sturman, B.D. (1992) Mineralogy of the Rapid Creek and Big Fish River area, Yukon Territory. Mineralogical Record, 23, 1-47. Sturman, B.D., Mandarino, J.A., and Corlett, M.I. (1977) Marićite, a sodium iron phosphate, from the Big Fish River area, Yukon Territory, Canada. Canadian Mineralogist, 15, 396-398. 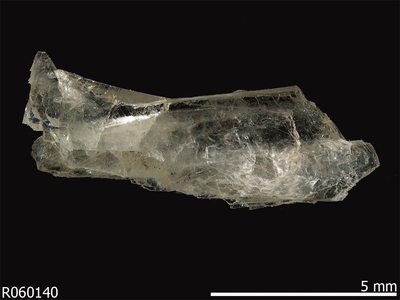 Tait, K.T., Barkley, M.C., Thompson, R.M., Origlier, M.J., Evans, S.H., Prewitt, C.T., and Yang, H. (2011) Bobdownsite, a new mineral species from Big Fish River, Yukon, Canada, and its structural relationship with whitlockite-type compounds. Canadian Mineralogist, 49, 1065-1078.